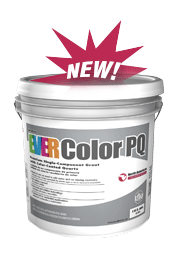 NA 4600 Ever Color PQ is a premium-grade, ready-to-use specialty grout for use with porcelain, ceramic and natural-stone tiles, and is ideal for both commercial and residential applications. No sealer is required because its nonporous composition helps prevent water- based stains. NA 4600 Ever Color PQ is formulated with the latest innovation in quartz aggregate, ensuring color consistency, ease of cleanability and improved workability.